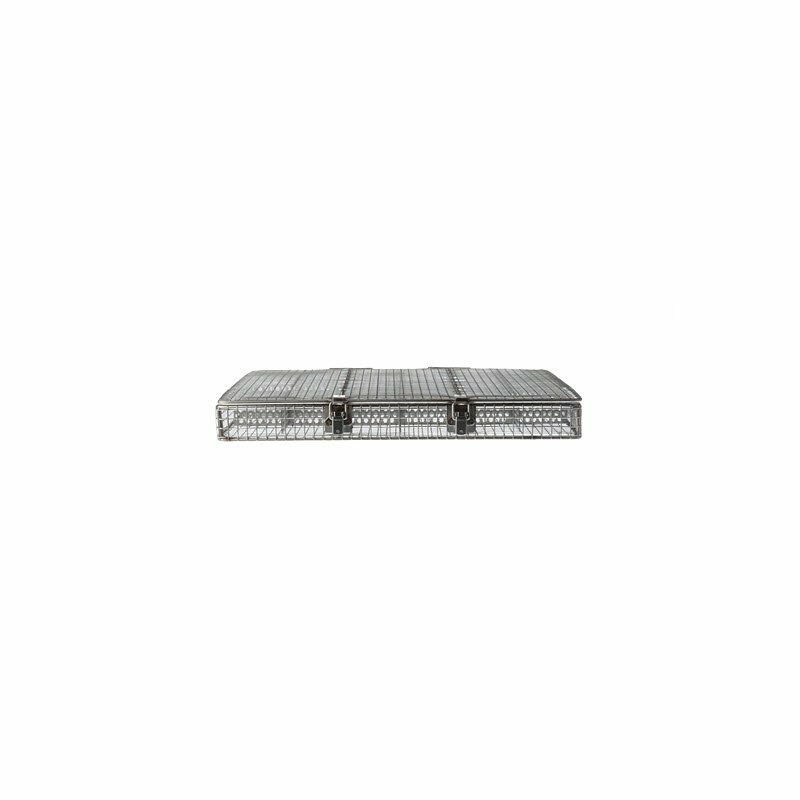 Rugged material handling basket that can be used for parts washing/cleaning applications. Stainless steel alloy resists corrosion. Dividers in basket constrain small parts in pockets. Lid holds parts securely inside. Industry standard. 100% USA Made.